Ants are one of the most annoying wee beasts in the garden and they can be difficult to eradicate completely. I have had luck with sprinkling spent coffee grounds around the areas that I want to keep ant-free. 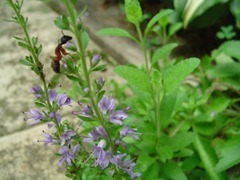 Use caution when using a commercial ant product in the garden and only use products that are approved for garden use. Aphids make their presence known en masse. That means that when you see one, you usually see a lot of them, and most often on the underside of leaves. There are thousands of types of aphids known around the world, but what is common to most of them is that they can be removed with a strong blast of water and usually kept at bay with a natural insecticidal soap spray. When you see large chunks removed from leaves on your tomato plants, suspect hornworms. They are hungry little monsters and will eat entire leaves and even, at times, bite into tomatoes. They are also known to afflict potatoes, peppers, eggplant, even corn crops and are likely the most common pest to afflict gardens across the country. 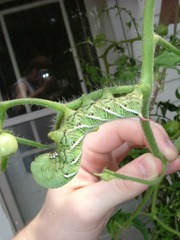 My recommendation for handling hornworms on your tomatoes is to pick them off and remove them from the plants. They are large enough to be easily managed and because their damage is easy to see, you can spot their presence quickly. 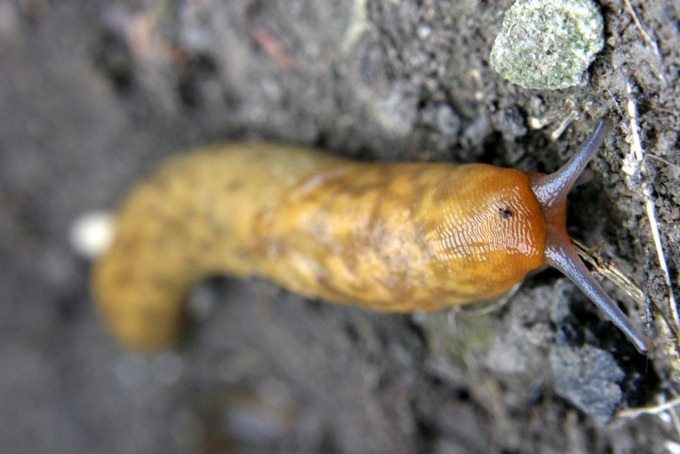 Slugs can be infuriating in the urban garden, but they are easily managed by keeping the garden area clear and free of debris. 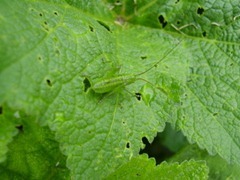 They can eat holes in leaves and destroy young seedlings if left unabated. For particularly persistent infestations the use of simple products such as those made by Sluggo will help.